Every year around this time the Etsy users really kick their work into high gear hoping to lure holiday buyers with unique gift ideas. While sadly many of them are something that no one would want to unwrap (you can see some of these tragedies at Regretsy) there are some wonderful gems like the one below. 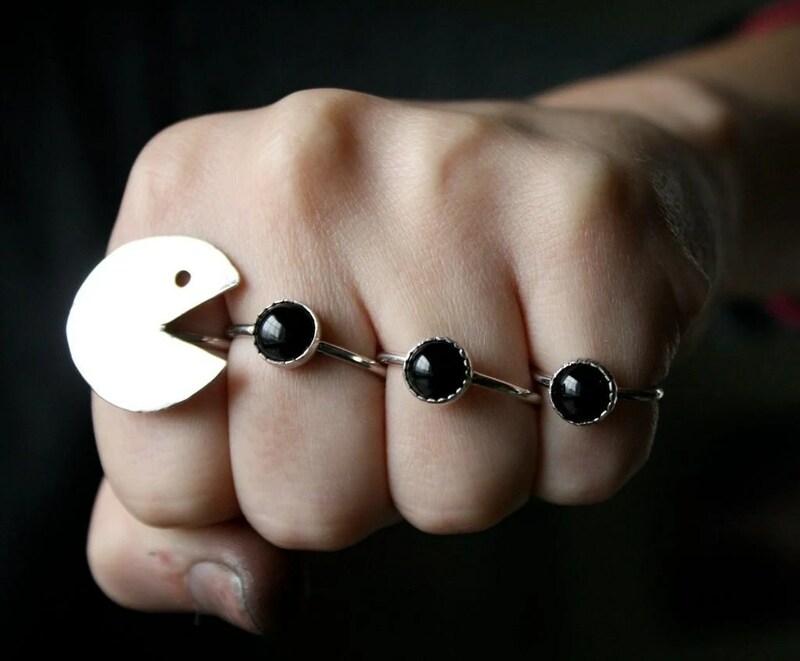 This sterling silver and black onyx set of 4 rings is a classy way to show off your love of the pixely little pellet muncher. Unfortunately the seller is all sold out of this set, but maybe if we all write letters to Santa she’ll make some more in time for Christmas. 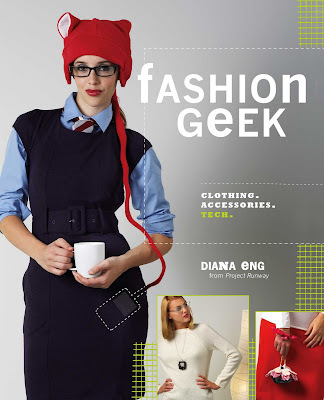 Ah, a perfect marriage of technology and DIY fashion. I flipped through the book and was blown away by the projects, everything from a digital locket to a flower USB necklace to a hoodie with headphones. All easy enough for someone with basic sewing skills and soldering iron. I was even more excited when I realized that the book was written by one of my favorite Project Runway contestants Diana Eng from Season 2! I loved her geometric patterns and how she really thought about taking clothes to the next level and incorporating technology into fashion. Unfortunately she was booted off far too early (I think that maybe just the time constraints of the show didnt allow her genius to shine) because I wouldve loved to have seen her final show in Fashion Week. 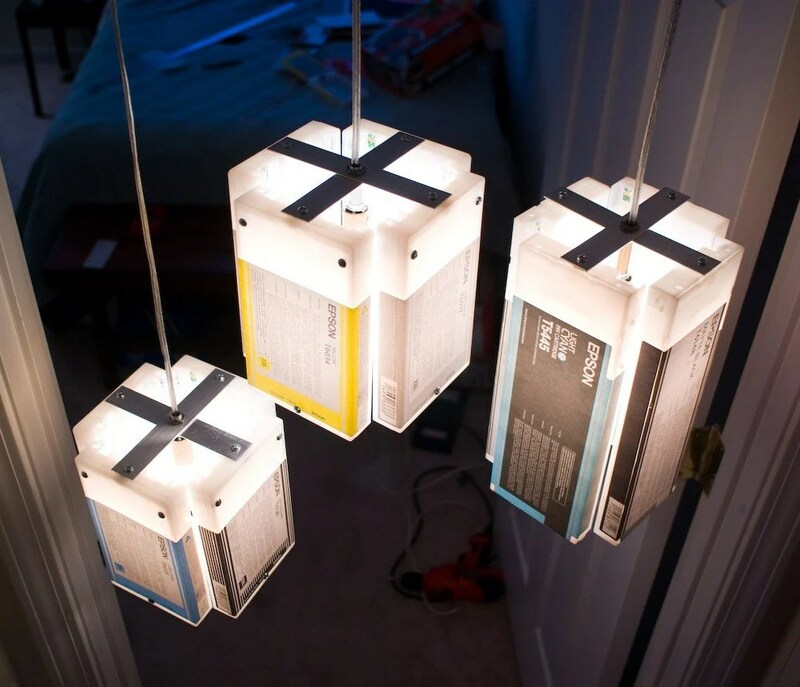 This is one of the designs in the book, it uses magnets to activate lights in the buttons! How cute! The book is on sale now for about $20 at Borders and I highly suggest picking it up if you want some fun cute projects to try out. If youd like a sneak sample project head over to etsy as they feature Diana and the instructions for one of her projects in this weeks How Tuesday!